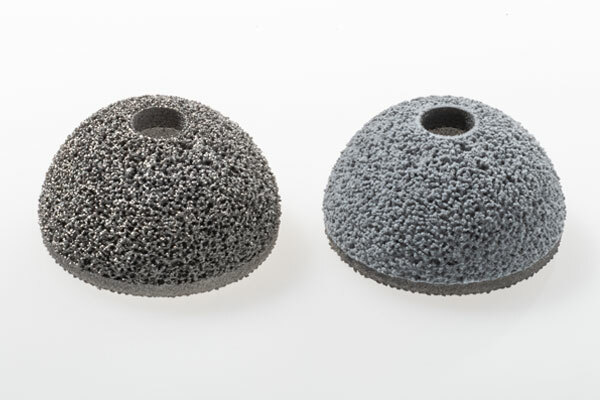 Electrochemical deposition (ED) is a coating technique that can be used when plasma spray deposition may not be suitable, such as for depositing brushite or hydroxyapatite layers onto hidden surfaces, intricately shaped devices, or when there is a need to coat highly porous surfaces. Indeed, ED is a reliable method for generating calcium phosphate (CaP) coatings on electrically conductive substrates in aqueous solution. The process of electrochemically depositing CaP coatings onto the surface is suitable for a large variety of medical devices. Furthermore, these coatings demonstrate better bone ingrowth compared to uncoated metal structures. 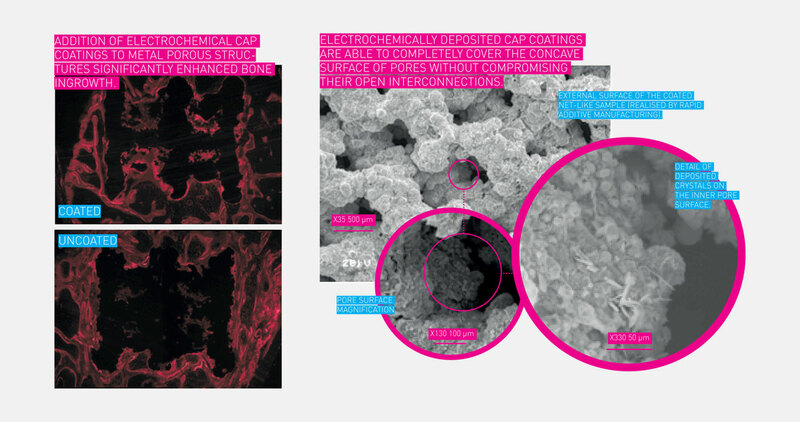 Left: Electrochemical calcium phosphate coatings enhance bone ingrowth. Contact us for more details or download our brochure which includes further information.